This page was last updated on 21/05/2018. When you use Laydex Limited’s website (www.laydex.ie), Laydex Limited shall act as the data controller who processes your personal data. Please read this privacy notice carefully as it sets out how Laydex Limited (“Laydex”) uses your personal information. If you have any questions about this privacy notice please contact us at marketing@laydex.ie. Laydex building solutions’ products for the builders merchants/hardware, roofing, and flooring sectors allow our customers to create best quality, high performing buildings and other building projects in all sectors. 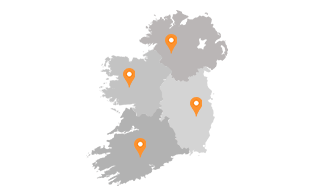 Laydex processes your personal data in accordance with data protection laws in the Republic of Ireland and the European Union in which it operates. Once you submit information through our website we will know who you are and you acknowledge that your activities on this website and information about you and/or your company may be recorded on our systems. to market our own products and services to you; through means such as newsletters and invitations to events; contact you about their promotions, services, events and other activities in relation to Laydex products and services. You acknowledge and confirm your acceptance for Laydex to process your personal data for the purposes listed above. We would like to provide you with information about Laydex’s products and services, and other information from Laydex, which we think you may find interesting. We may send you such information by post, email, and/or telephone if you agree we can or unless you have asked us not to do so. We do not provide your personal information to external organisations (i.e. to contractors, merchants, distributors and retailers, which are outside of Laydex) for their own direct marketing in relation to Laydex products and services without your explicit consent. If at any time you do not want your information used for direct marketing purposes by a Laydex, please contact Laydex from which you have received marketing so that they can unsubscribe you from their marketing lists. If you have received email marketing from Laydex and decide that you no longer wish to receive marketing emails from us, you will be able to opt out of receiving further email marketing from us by following an unsubscribe link in the email, or by such other means as we may communicate to you. We may disclose your personal information (if you have so permitted) to third parties located in your country and in countries other than your own, in due compliance with applicable laws. If we have your explicit consent, we may provide your personal information to external organisations (i.e. to contractors, merchants, distributors and retailers, which are outside of Laydex) so that they can contact you about their promotions, services, events and other activities in relation to Laydex products and services without your explicit consent. Where organisations outside of Laydex provide you with a service on our behalf, or help us provide the service to you (e.g. sending you a piece of literature or a sample that you have requested from us or helping us respond to your request regarding the technical operation of the website), we may share your personal information with those organisations who will only use the information to provide the relevant service. You may request details of the personal information that we hold about you under data protection laws. If you would like a copy of the information held about you please make your request to marketing@laydex.ie. If you think any information held by Laydex about you is incorrect, incomplete or is being processed improperly, please write to the Laydex as soon as possible and we will delete, block, correct, update or cease to process any information subject to the terms provided for by the law. If you wish to make a complaint about an alleged breach of the law, we ask that you send us your complaint in writing to us at the following address: Unit 3, Allied Industrial Estate, Kylemore Rd, Dublin 10. We will respond to complaints and implement any remedies subject to the terms provided for by the law. Laydex is committed to ensuring that your information is secure. In order to prevent unauthorised access or disclosure we have put in place suitable physical, electronic and managerial procedures where relevant to safeguard and secure the information we collect. By using, or continuing to use, this website and/or providing your personal Information after having reviewed this website, you will have consented to the terms and conditions presented to you in this privacy notice, so that we, as the data controller, may continue to process said information unless and until you oppose to one or more of the purposes indicated above or revoke your consent therefore or altogether according to the terms and conditions herein.